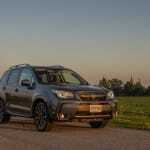 The Forester, as expected, comes with Subaru’s famous full time all-wheel-drive. Ahh, the turbo Fozzy. 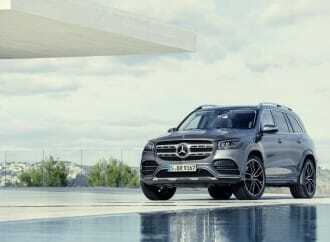 The way a mid-size SUV should be. 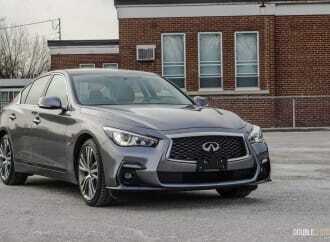 Tall, immense cargo space, all-wheel-drive, and a turbocharged flat four. 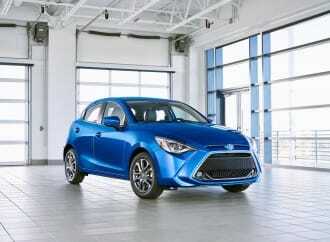 Complete with a wonderfully boxy body, and a big, mean hood scoop for that top-mount intercooler. 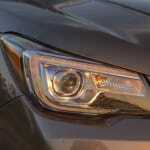 But wait a second – where’s my hood scoop? 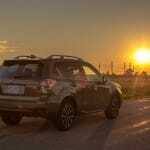 Sadly Subaru left the iconic scoop behind a few years ago, probably because of reasons that involved words like “maturity” and “sensibility,” neither of which I’m interested in hearing about. 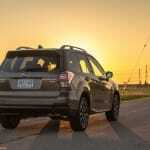 At the very least, the brand new 2018 Subaru Forester XT Limited still has a turbocharger, and as a result, it hustles along with considerable urgency. 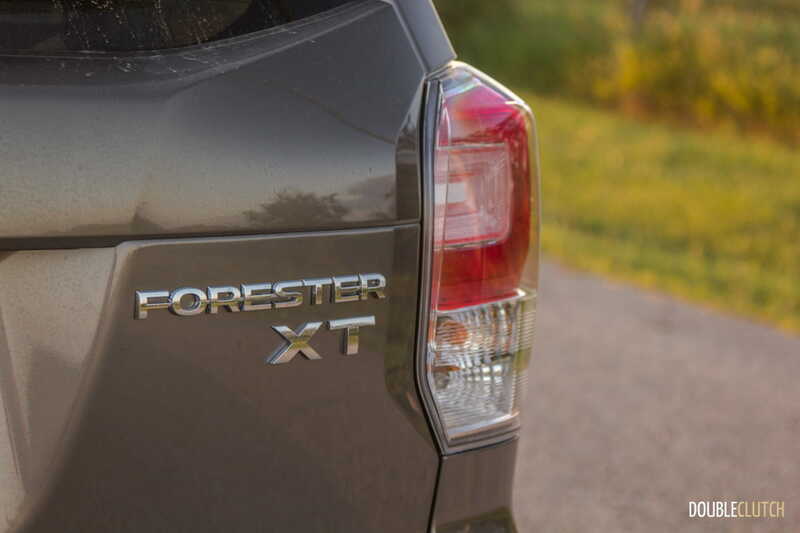 I am quite a fan of the older generation Forester XT, so with the brand new one in my driveway for the week, I was anxious to find a reason to love it. The Forester 2.0XT Limited with optional EyeSight package commands the reasonably hefty sum of $39,495. 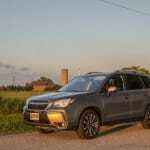 This is quite a jump from the base Forester with a manual transmission, at $28,046. 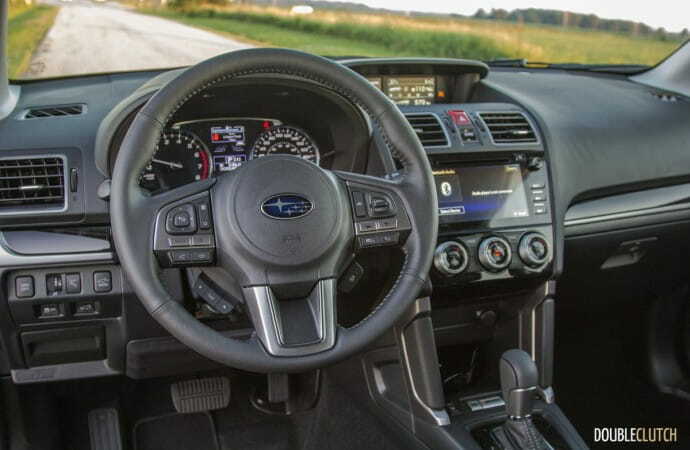 However for the higher price, you get the same (albeit a bit tweaked) turbocharged engine that you find in the much loved WRX (reviewed here). 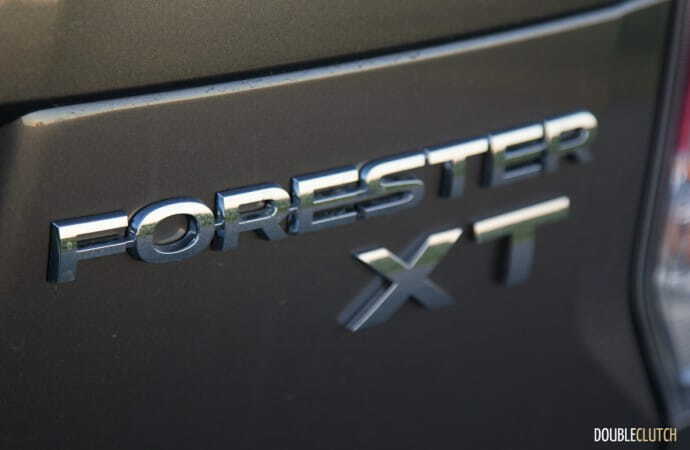 With 250 horsepower at 5,000RPM from a 2.0L flat-four boosted by a punchy twin-scroll turbocharger, the Forester XT can shove you to 100km/h in just over six seconds. 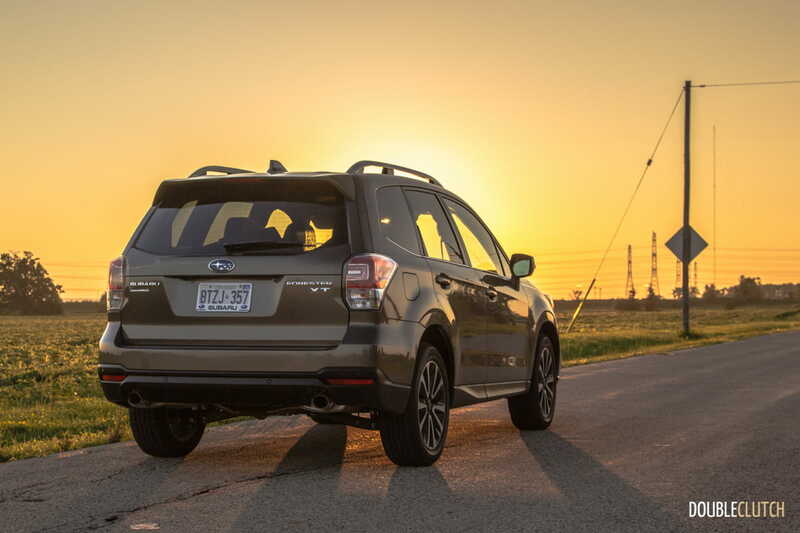 To be clear, the XT feels completely different than than the 170 horsepower base model. 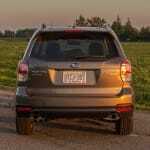 However in another affront to Subaru fans, you can’t get the XT with a manual transmission. I assume they locked the gear levers away with the hood scoops in a warehouse somewhere, barred the door and hung a sign on it that reads: Restricted Area – please refer to protocol: ‘Make fans sad.’ At least the XT still exists, and it’s here with a Lineartronic CVT transmission, which actually does a good job of simulating gear ratios. It isn’t perfect, and just leaving it in automatic instead of trying to use the paddles was a better option on most circumstances. 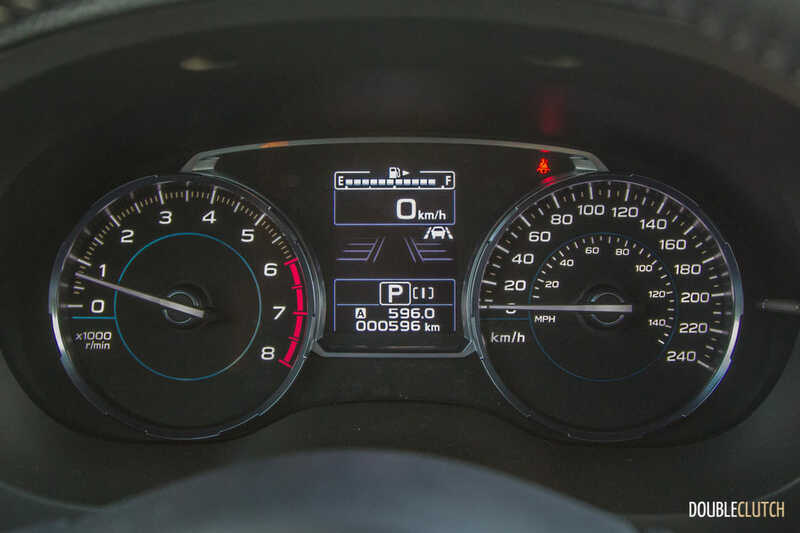 The XT comes with a few different driving modes, and the centre cluster will give you a little torque graph to demonstrate how early you have access to torque in different setups. Silly, but cool. 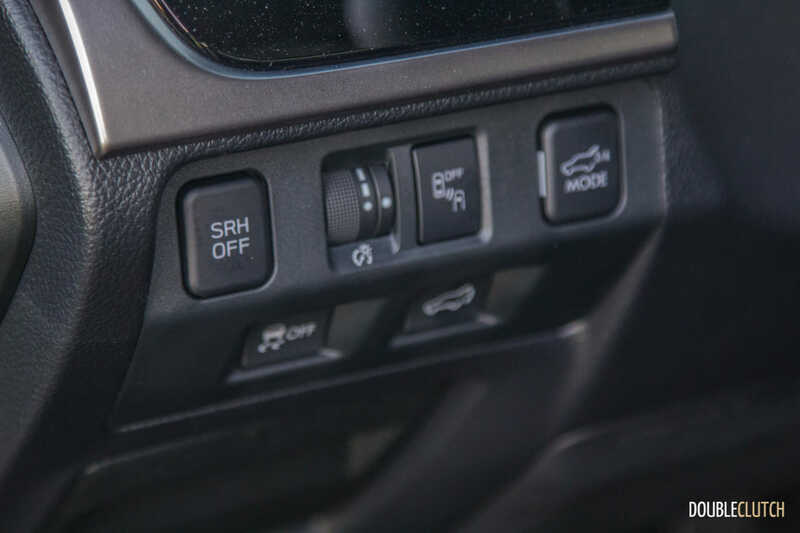 “Sport#” (sport sharp), the most aggressive mode, was my favourite because obviously I’m childish, and like buttons that make my cars feel faster. 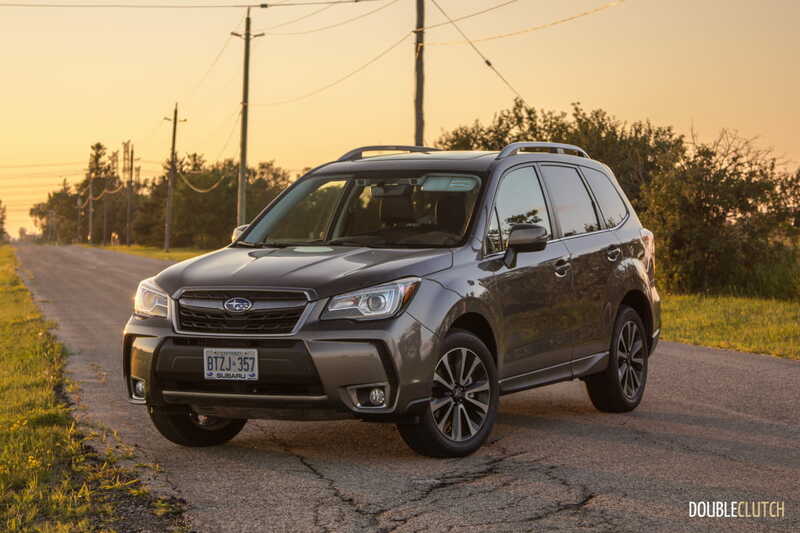 But in reality, Sport# is actually very snappy, and gets the Forester moving from a standstill with quite a bit of desperation. 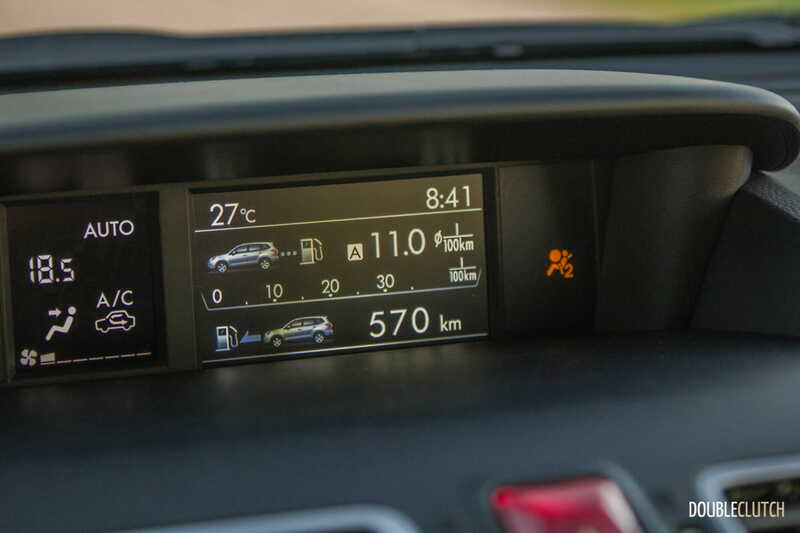 Make note though, that the throttle tip-in in Sport# is very aggressive – enough that it’s possible to accidentally jolt a sleeping passenger awake if you aren’t careful with throttle application. 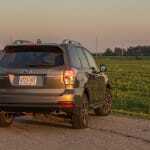 The steering in the Forester is decent as well. It’s electrically assisted, so it’s not as communicative as older Foresters, but it’s better than some other midsize crossovers on the market. The Forester does lean a bit in the corners. 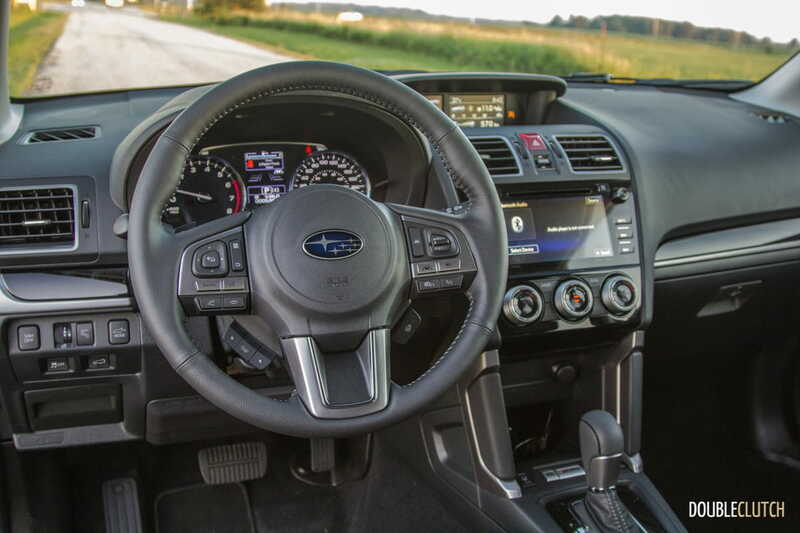 Obviously it’s not as planted as its WRX sibling, but thankfully you still feel in control of the chassis in high-speed manoeuvres. 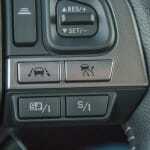 Quick direction changes can be done, but obviously you will be reminded that you are in a fairly tall vehicle. 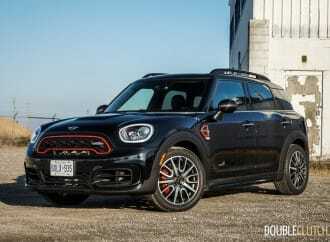 It manages to have a smooth ride, while still being well controlled in faster corners, but don’t expect Range Rover (reviewed here) levels of ride refinement. 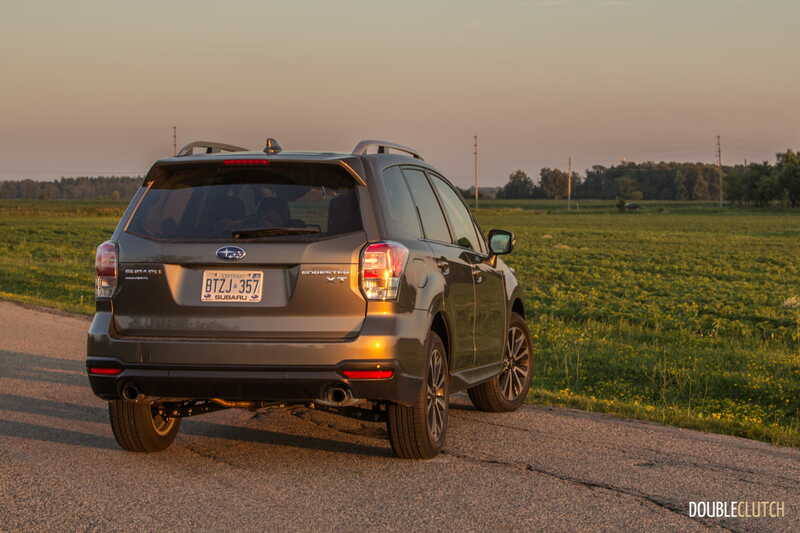 All things considered, the Forester does a good job of crossing ‘sporty’ with ‘comfortable’ while landing mostly on the side of ‘comfortable’. Since the Forester shares a large portion of its interior with the WRX, you also get the top-mounted digital boost gauge, which can be toggled through to also show driving modes, fuel economy and other information. 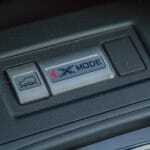 Unfortunately, it doesn’t get the WRX seats. 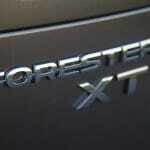 The Forester’s seats were one of my least favourite parts of the car. Our tester was well trimmed in leather, but I felt like I couldn’t sit low enough. The seat base didn’t feel long enough to support the underside of my thighs, but other drivers have told me it suited them fine. The passenger seat is a bit bizarre though; it doesn’t lower as far as the driver’s seat, so you always feel like you are looking up at your passenger. 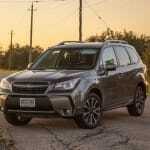 Weird seating situations aside, one thing stands out about the Forester interior. The visibility is absolutely fantastic. 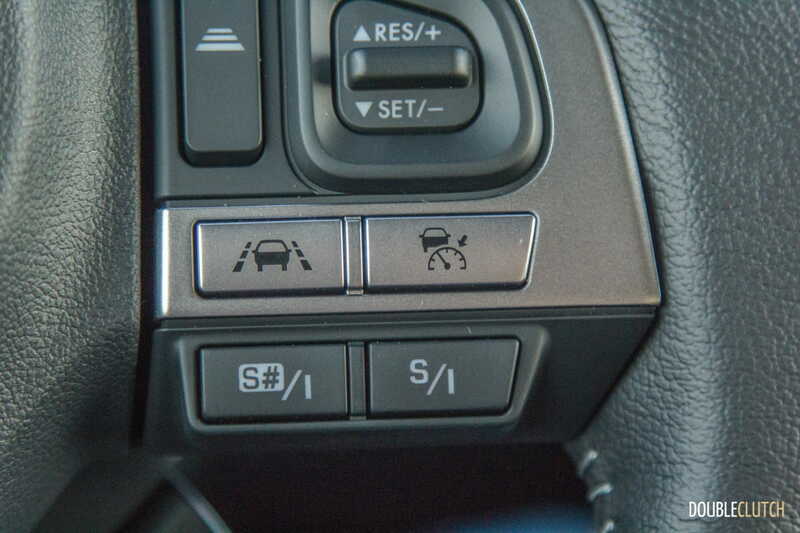 You have a panoramic view of the road ahead and blind spots are very minimal. 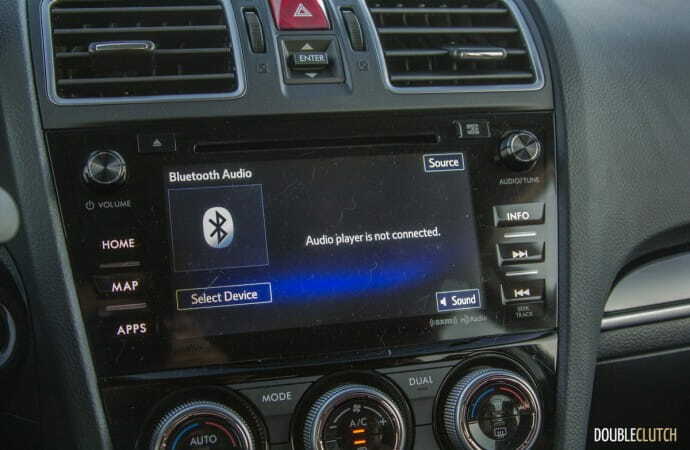 This is one of those characteristics in a car that you didn’t realize you wanted until you have to live without it. 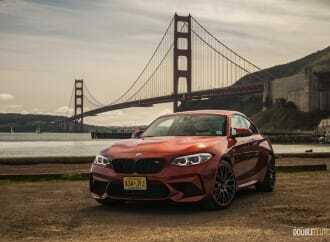 Driving my BMW sedan feels claustrophobic in comparison. 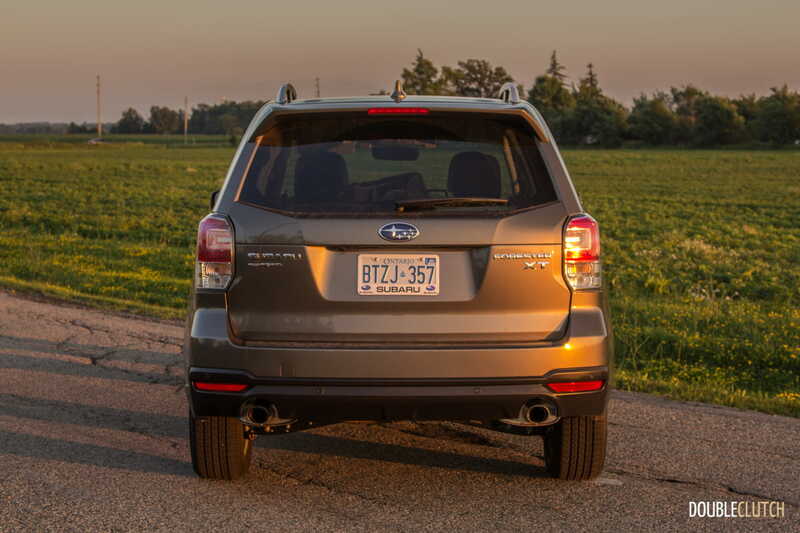 The great visibility is due to the huge cargo area, and headroom in the front seat. 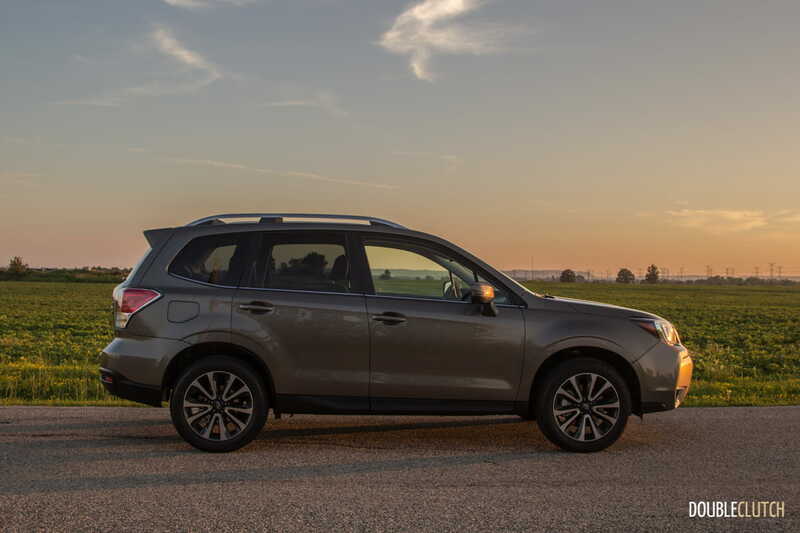 The Forester can easily fit drivers over 6’, with plenty of headroom, and with 60/40 split folding rear seats coupled with a tall roof, you won’t find yourself wishing you had more cargo space. 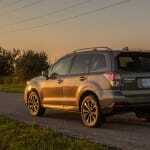 The Forester, as expected, comes with Subaru’s famous full time all-wheel-drive. 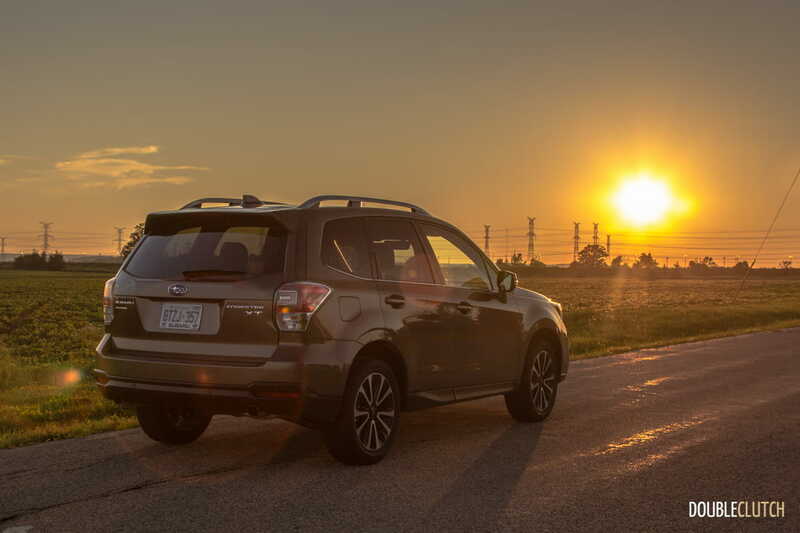 Arguably, the ‘better’ Symmetrical AWD system is the one in the manual transmission which has a 50/50 front to rear full time AWD set up. 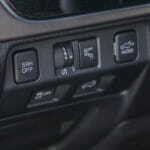 The CVT equipped cars get a 60/40 split with an electronically controlled multi-plate transfer clutch. 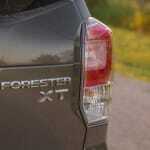 This allows the Forester to send more power to the rear wheels under hard acceleration or front wheel slippage. 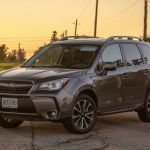 In practice in slippery conditions, the average user will not notice the difference, but some Subaru purists may prefer the constant even split of the manual. 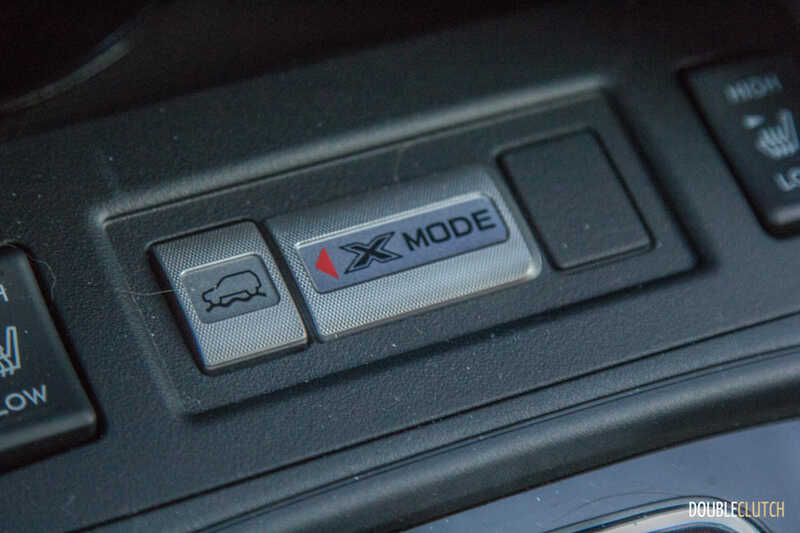 If you wish, you can select “X-Mode”, which supposedly allows the computer to fully control the transmission, AWD system, engine, and brakes to keep the driver in control in slippery situations. 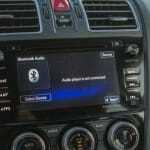 I haven’t had a chance to test this feature, so I can’t comment on its effectiveness. Hill descent control and “Hill Holder” come standard as well, keeping you in control on the decline and prevent you from rolling back on the incline. 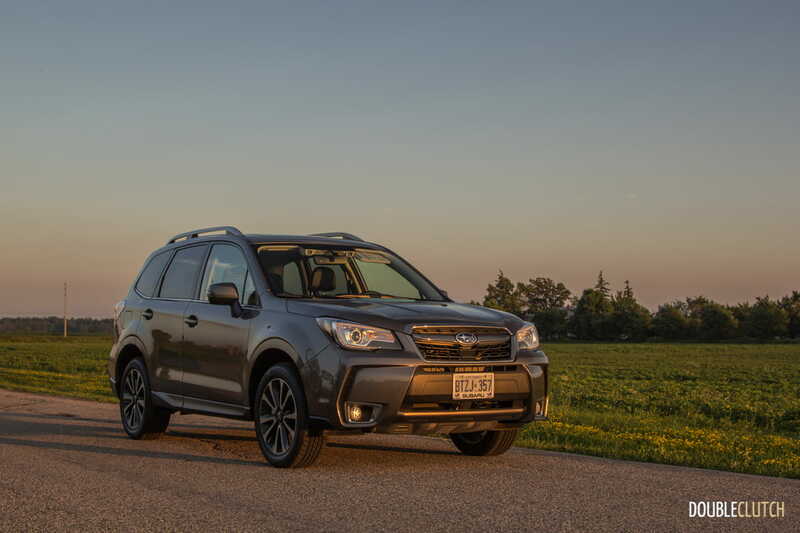 Either way, rather impressively the Forester gets good fuel economy for a midsize. 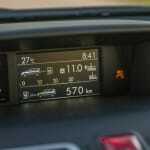 We managed 9.9L/100km over the course of the week, including a trip up north. 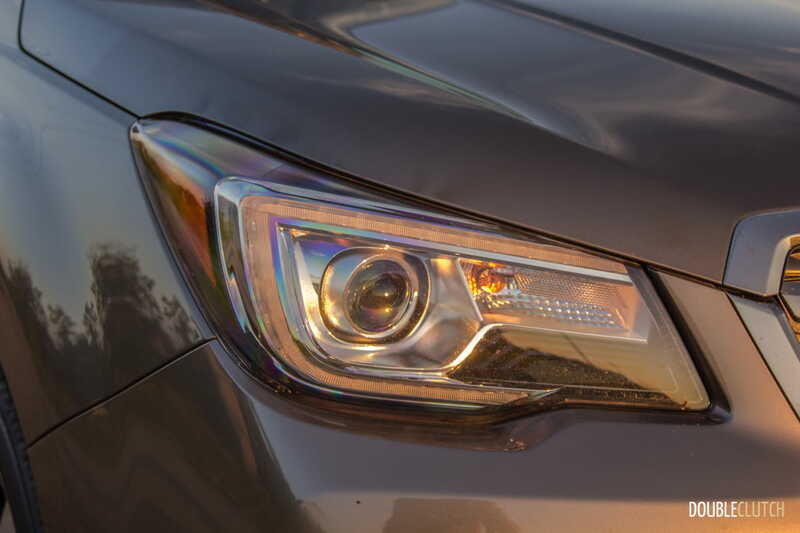 Subaru’s EyeSight system included in our Limited trim tester, continues to do the trick. 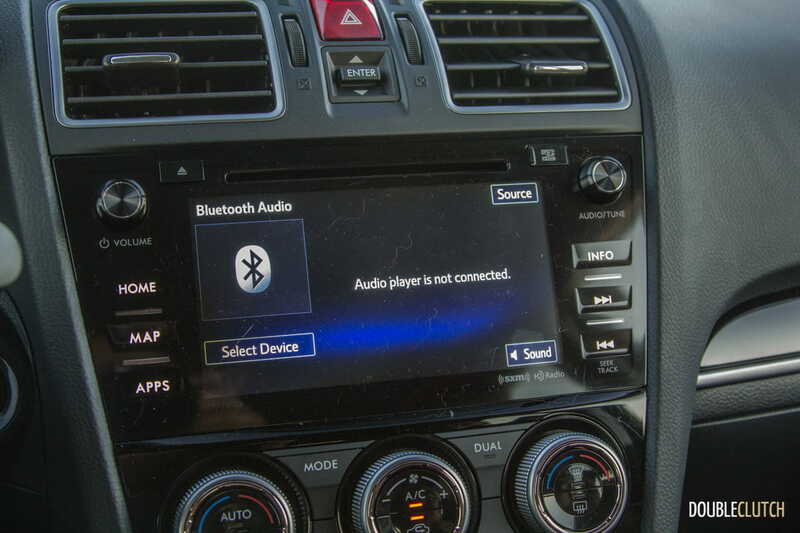 The seven-inch StarLink infotainment is quite user friendly as well, and the touchscreen is responsive. 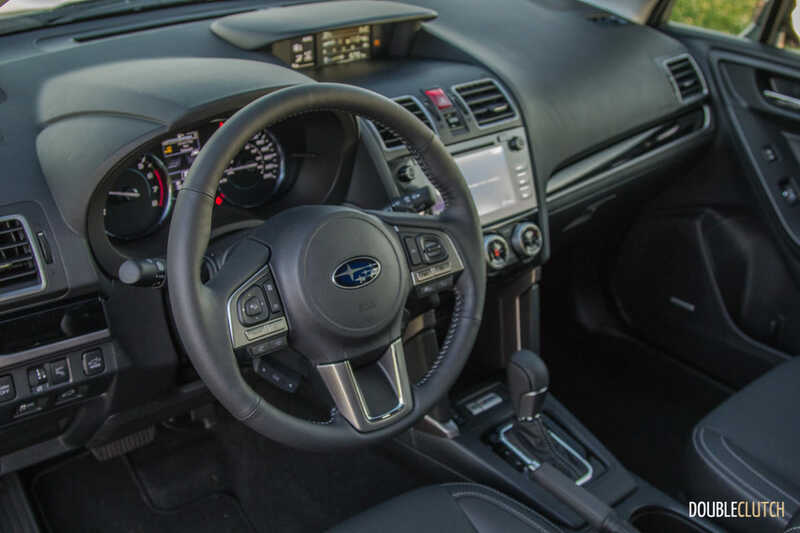 I have never had an issue with Subaru’s system, and I used its voice recognition to send text messages, listen to satellite radio, and make calls without any problems. 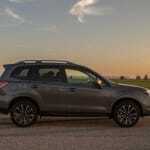 The new 8” infotainment system in the new Global Platform cars, such as the 2017 Impreza (reviewed here) is better however, and will be a welcome addition to the next generation of Forester. When considering what this Forester is capable of, it is actually a very impressive midsize vehicle that delivers some exciting driving dynamics, and very competent performance, all packaged into a very practical setup. The problem is, the whole thing feels a bit…beige. In fact, our tester was finished in beige paint. 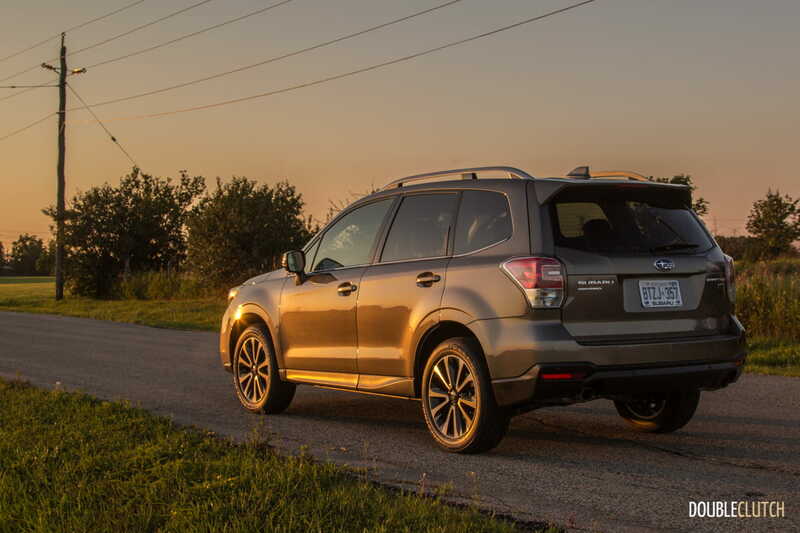 The ‘Fozzy’ XT is a car that enthusiasts have been taking, coveting, and modding for years. 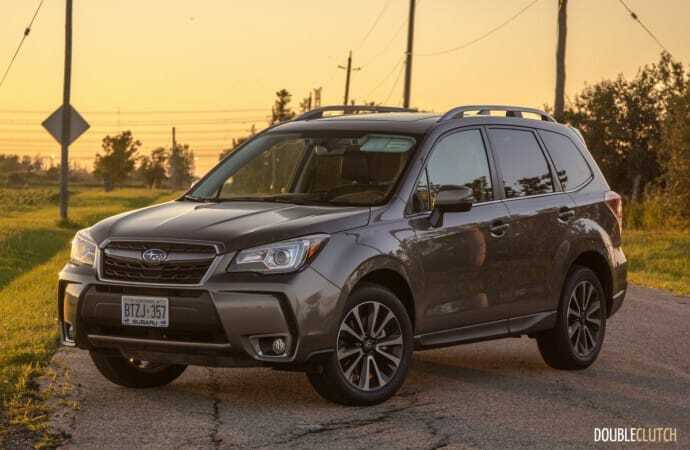 People take older Foresters, slam them to the pavement on coilovers, install big chrome wheels and parade them around proudly at local car meets. 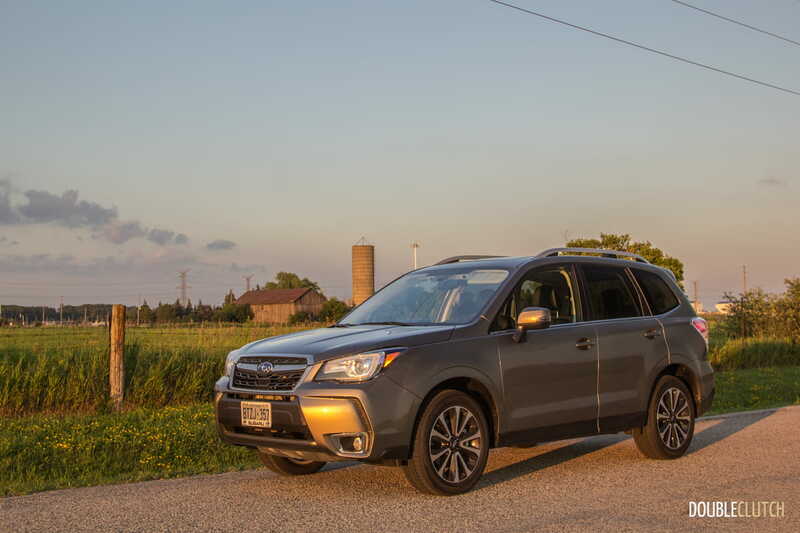 I can’t imagine in a million years that this year’s 2018 Subaru Forester XT Limited will ever see much more than the parking lot alongside the soccer field, or the driveway of a suburban home. 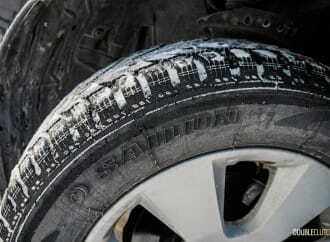 This is a sad thing, because the car is incredibly capable and well worth the price of entry.